Smeardon Down sits above Peter Tavy as continues to rise all the way up to Boulters Tor. 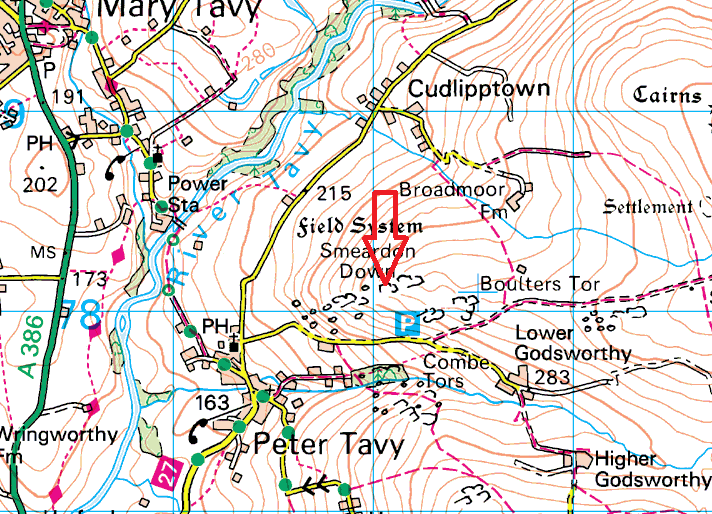 Before reaching the tor there are a number of outcrops on the western side called Smearn Down Tors. 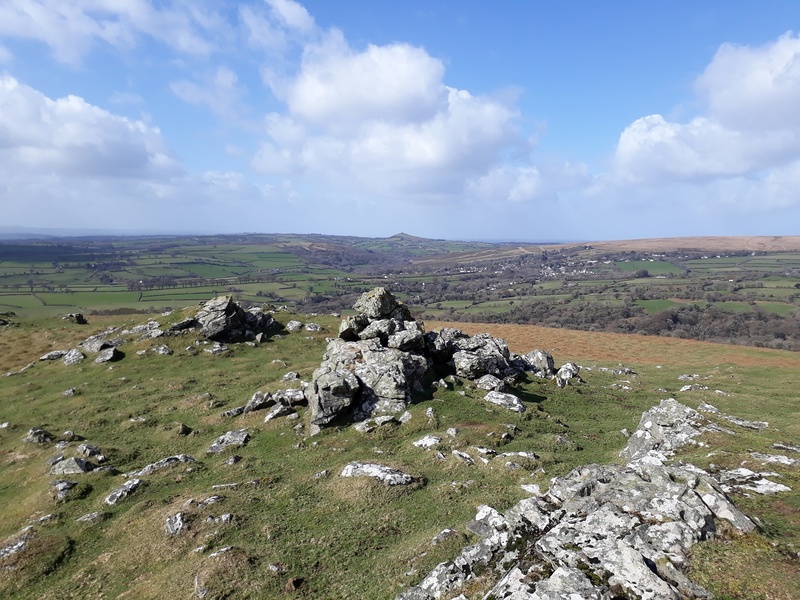 These are 4 or 5 outcrops with a good view down to Peter Tavy and beyond to Cornwall. 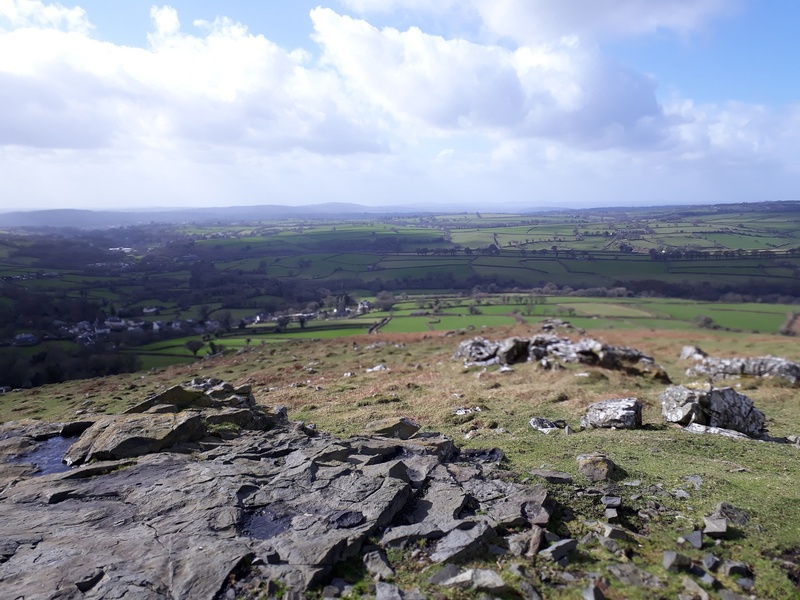 They are a simple walk up from the car park below Boulters Tor or from Peter Tavy itself. 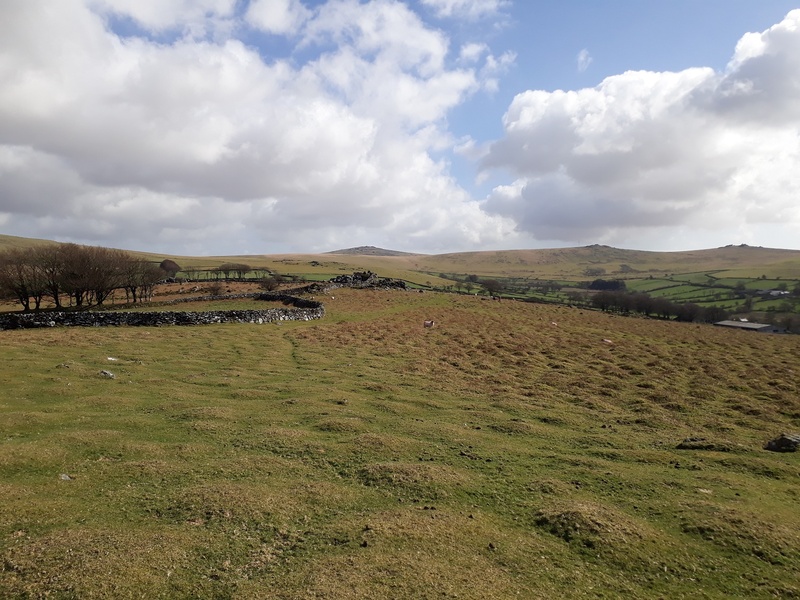 There are no firing ranges at this tor, however the Merrivale range starts at White Tor to the east. The outcrops of Smearn Down Tors with Brent Tor and Gibbet Hill in the distance.